Trouble is brewing for the multinational mining company Glencore, which has recently been involved in a tax and royalty dispute over its Congolese operations, as the company has allegedly drawn the attention of British white-collar crime investigators. Kristian Rouz - Anglo-Swiss mining conglomerate Glencore is reportedly facing a major corruption probe over its controversial business practices in Congo. The probe - which is said to be in its preliminary stage at this point - is focusing on the ties between Glencore's top management, Israeli billionaire Dan Gertler, and top political leadership of the Democratic Republic of Congo. The UK's Serious Fraud Office is gathering and analyzing evidence for a full-scale investigation into Glencore's alleged bribing of top Congolese officials to advance its business interests in the country. Congo is rich with various minerals, making it an attractive destination for international investors, however, the heightened political and security risks have complicated regular business practices in the country for decades. According to the preliminary allegations, Gertler and his personal friend and Congolese president, Joseph Kabila, have established a scheme which has allowed Glencore to become a major producer of copper and cobalt in the country, whilst underpaying taxes and royalties. Gertler was blacklisted by the US last December over the suspicion his fortune is based on corruption - claims firmly rebuffed by Congolese officials. The recent announcement of a formal British probe into the Swiss-based company received reserved commentary from Congo. "We are ready to take all the blows and we are ready to fight back," Congo government spokesman Lambert Mende said. This comes after last month when Congolese authorities froze part of Glencore's assets in the country amid the ongoing Congolese probe into the miner's tax and royalty payments. The controversy arose when Gertler claimed Glencore owes him $3 bln in damages from the company's Mutanda Mining and Kamoto Copper projects - which he stopped receiving since being blacklisted by the US. There is speculation Glencore stopped payments to Gertler in order to avoid drawing the attention of US financial watchdogs, who could slap sanctions on Glencore as well. Meanwhile, Glencore's stock has been retreating amidst the Congo controversy due to the heightened uncertainty over the possible UK probe, and the possible effects of the company's past dealings with a now-blacklisted individual. "The uncertainty of the fraud investigation that could come is just that, uncertain," Hunter Hillcoat of Investec Ltd. said. "I don't know where this is going to end up. It's not even started yet. This wasn't priced in, but I don't think it'll weigh on the share price unless there's more smoke to add to the fire." According to previous reports, Glencore has sought an out-of-court settlement with Gertler over the Congo payments. However, the outcome of the talks is yet unknown, whilst the court hearings - initially slated for earlier this month - have been delayed. Moreover, Glencore is contesting Congo's new mining code, which would increase extraction taxes and royalty payments per project profitability. This comes amidst an intensified dispute with a local state-owned miner Gecamines, which has accused Glencore of extracting excessive profits of the Kamoto project. 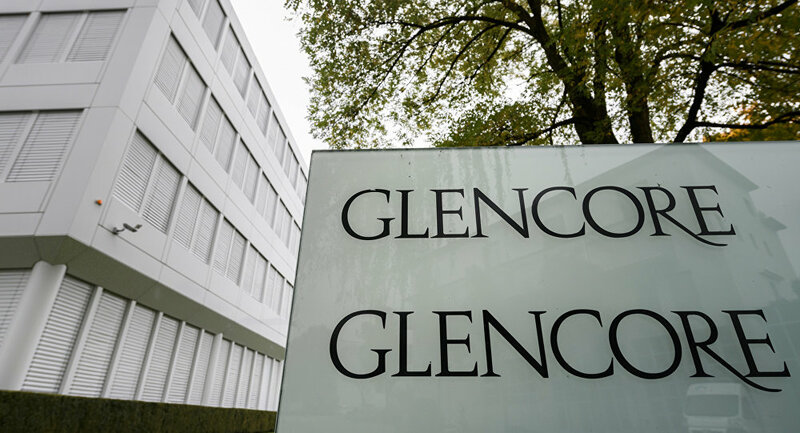 These latest developments are suggesting Glencore could be gradually forced out of Congo through a combination of protectionist policies and non-regulatory pressure. However, the British authorities - and, likely, the US - are more interested in the nature of the relationship between Glencore and its partners in the Congo business. The miner's possible wrongdoing could potentially give the regulators a greater leverage over the company.